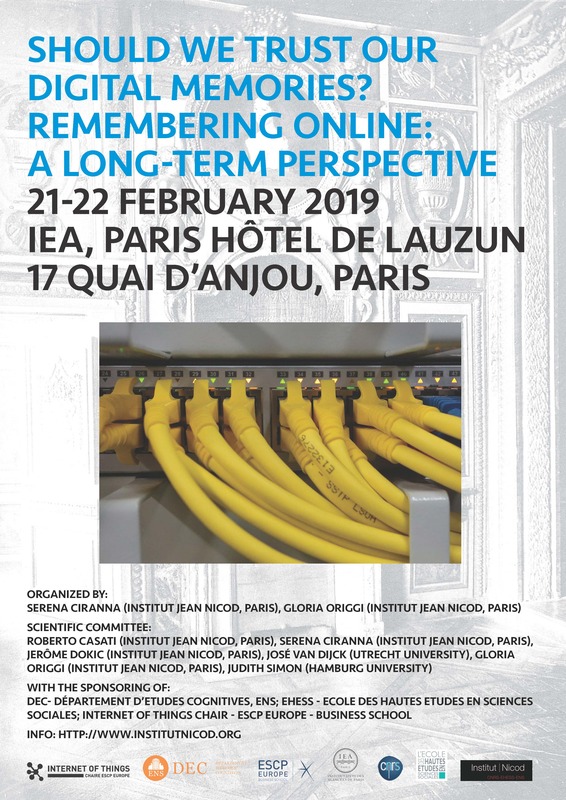 This conference on digital memories brings together the most current research from various fields such as media design, cultural studies and philosophy, representing both theoretical and empirical approaches. We will explore the concept of trust, and the many ways it is related to memory in online practices and interactions. With social media, digital archives and self-tracking apps being new means we use to create and share memories, it is important to ask how and why we tend to trust online platforms and digital devices as repositories of our past. Furthermore, do we tend to trust digital memory more than biological memory, considering it to be more objective and stable ? According to Victor Mayer-Schönberger : “As digital remembering relentlessly exposes discrepancies between factual bits and our very own human recall, what we may lose in the process is the trust in the past as we remember it.” What are the consequences of this potential shift for the way we make sense of ourselves through our past ? How individuals and collectives deal with the increasing volume of their digital memories, as well as with new ways of remembering and forgetting through the use of technology, is a challenging question, the answer to which requires an interdisciplinary approach. Therefore, this conference’s aim is to gather contributions from variety of disciplines in order to further the discussion on this developing field of study.